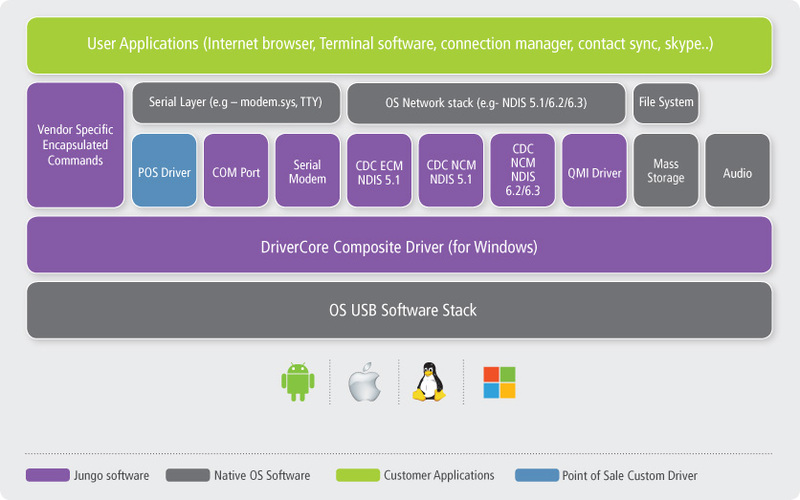 USB connectivity drivers often reside in the very heart of operating system’s kernel. As such, they require unique development know how to yield quality and small footprint to ensure good system stability and user experience. With more than 100 Million successful product distributions to date, DriverCore delivers just that. 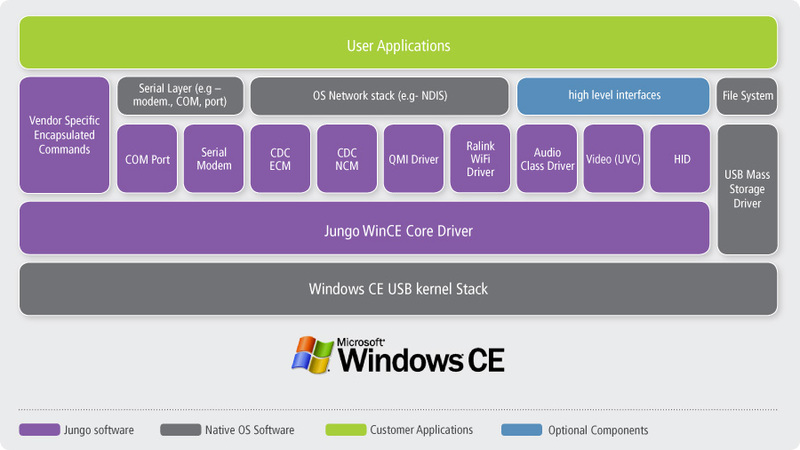 DriverCore, Jungo’s assorted collection of USB PC connectivity drivers, is built on Jungo’s extensive experience and technology leadership in the embedded connectivity arena, and has been chosen by the world’s top chipset vendors and consumer electronics device makers. For particular market segments, DriverCore is provided with special hardening and functionality that enable our customers to get more out of their products and emphasize their competitive advantages. Full support for all popular PC and Embedded Host operating systems including: Windows XP/Vista/7/8, Mac OSX 10.5/6/7/8/8.1, Linux, Windows CE 5/6/7. Unique functionality of CDC ACM COM Port support for Point of Sale devices.